This is a sampling of jury verdicts and settlements with Liberty Mutual. Most of these are Maryland claims but we have added in others from around the country. Some of these cases listed below are ours. Other cases are claims brought by our colleagues or pulled from verdict and settlement reports. Please remember this is not a scientific sampling and might not represent the value of your claim, even if the facts seem similar. Still, we think these reports shed some light on the value of these claims. It is also worth noting that we are looking at personal injury claims, not workers comp case which have a much lower value in most jurisdictions. 2016, Maryland: $175,000 Settlement. Our client is driving at the intersection of Urbana Pike and Sugarloaf Parkway. The defendant ran the red light on Urbana Pike, broadsiding our client, striking our client's vehicle on the passenger side causing airbag deployment. Conservative treatment for his C6-C7 neck injury failed, and he had a discectomy and fusion. Thankfully, he had a great recovery. Liberty Mutual agreed to settle the claim in negotiations shortly after the insurer received our demand letter. 2016, Maryland: $164,000 Verdict. Plaintiff is a middle-aged woman who works as a bartender and waitress. She is driving her Ford Explorer on Indian Head Highway in Fort Washington. She is rear-ended at a red light at the intersection of Old Fort Road and State Route 210. She goes to the ER two days later with back and neck pain. An MRI later a disc herniation at the L4-5 level. Physical therapy advanced to epidural injections. Ultimately, she had $17,000 in medical bills. At trial, plaintiff argues that the woman's injuries are degenerative and that she took three years off physical therapy only to resumed the PT before trial. The Prince George's County jury awarded $164,000 which included $100,000 in pain and suffering. 2013, Maryland: $20,537 Verdict. A forty-year-old woman is rear-ended at a stop light. Plaintiff alleges a significant lower back and neck injury and receives treatment for more than a year. A chronic condition develops in her back, giving her a 25% impairment rating and significantly impacting her daily life. The Liberty Mutual insured defendant concedes that there were injuries and that the first few months of treatment were reasonable, but claims the plaintiff should have recovered before the later treatment. A Montgomery County jury awards the injured plaintiff $20,537. 2012, Maryland: $85,992 Arbitration. A car accident results in significant injury to the plaintiff and the death of defendant's child. The defendant fails to yield to oncoming vehicles and the two parties crash in the middle of an intersection. The plaintiff and his passenger sustain several injuries, resulting in back surgeries, lumbar dislocations, and a cardiac event over the death of the child. Defendant does not admit liability, but questions causation of the cardiac problems and the extent of the back injuries. The defendant's insurance carrier, Liberty Mutual, pays $85,992 in an arbitration agreement in Prince George's County. 2012, Maryland: $15,714 Verdict. Liberty Mutual refuses to pay plaintiff injured in an automobile accident. 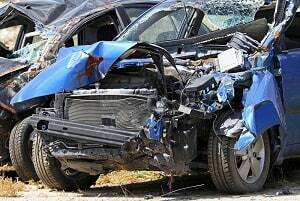 Plaintiff claims to be entitled to UM/UIM benefit after her car is struck by the defendant’s insured. Plaintiff offers evidence that she is blameless in the accident and the defendant simply denies liability. A Baltimore City jury decides that Liberty Mutual is indeed liable and awards a $15,714 verdict to cover plaintiff’s remaining medical bills. 2011, Maryland: $1,000,000 Settlement. A man is tragically killed when a truck driver pulls from a loading dock while the man is loading pallets of sugar into the box trailer with his forklift. The forklift falls off of the back of the box trailer while he is backing out of the trailer. The forklift is suspended four feet off of the ground beau as it was caught between the end of the box trailer and the loading dock plate. It then fell to the ground crushing him, causing a horrific death. The man either fell or jumped off the forklift while it was suspended in the air and landed underneath of the forklift, just seconds before it came down on top of his head. The Baltimore City crime scene photos depicting the aftermath are just awful, showing brain matter about the ground. There were five plaintiffs. Miller & Zois represented two of the plaintiffs and settled their claims for $1 million at an out-of-court mediation before trial. We have won millions of dollars in settlements and verdicts against Liberty Mutual. Let us take them on for you. We know how to maximize the value of these cases. Call 800-553-8082 or get a free online consultation. 2010, Maryland: $62,564 Verdict. Plaintiff is on her way from work, stuck in heavy traffic on I-695. Defendant driver runs into the back of a non-party vehicle which in turns runs into plaintiff. Defendant admits liability and settles with plaintiff for his policy limits. Because plaintiff’s medical bills exceeded the settlement, she files suit against her carrier, Liberty Mutual, for Underinsured Coverage. Plaintiff claims several soft tissue cervical and lumbar injuries, requiring emergency room treatment. Neck surgery is recommended, but not performed, and she is given a 40% permanent partial spinal disability rating (30% from the accident, 10% from prior injuries). Liberty Mutual argues that the plaintiff was not injured in the crash and her complaints are the result of a pre-existing degenerative arthritis. A Baltimore City jury believes the plaintiff and awards the victim $62,564. 2017, Washington: $133,484. This is a rear-end accident case where the only issue at trial is the amount of damages. Plaintiff goes to her primary care doctor the day of the crash. She has no objective signs of injury and receives chiropractic care, physical and massage therapy for her neck and lower back pain. She is also seen by a physiatrist and an osteopathic physician who performed osteopathic manipulations. The jury awarded her only $35,000 for pain and suffering but paid for all of her medical bills and lost wages ($67,000). This is one of those cases where the jury believes the plaintiff enough to give her all of her medical bills and lost wages but does not give her adequate compensation for her pain and suffering. 2013, Ohio: $8,523 Verdict. Liberty Mutual insured defendant is driving on a road with unsatisfactory snowy conditions. He loses control of his vehicle and runs into a wall on the right side of the highway. Plaintiff is unable to stop his vehicle in time and runs into the defendant’s back. Plaintiff sustains contusions to his chest, aggravation of a lumbar injury, and a cervical strain. Defendant admits the accident occurred, but claims that plaintiff had six to seven seconds to avoid the collision. A Cuyahoga County jury decides for the plaintiff and awards $8,523. 2013, Pennsylvania: $3,124 Verdict. Plaintiff is injured in a car accident and receives a closed head wound, concussion, lumbar strains. The motorist settles for his policy limits, but the plaintiff’s medical bills exceed that amount. Plaintiff attempts to recover further from his underinsured with Liberty Mutual-- but the carrier denies coverage. Plaintiff claims that the insurer had issued him a policy that was in full effect at the time of the accident and that his medical bills exceeded the motorist's compensation. The defendants dispute the nature and severity of the plaintiff’s injuries and argue that the previous settlement covered all the injuries. An Allegheny County jury sides with the plaintiff and awards $3,124. 2012, Connecticut: $50,000 Verdict. Liberty Mutual insured defendant attempts to make an illegal U-turn. Partway through the maneuver plaintiff runs into the side of defendant’s vehicle. Plaintiff is a carpenter by trade and suffers an exacerbation of a pre-existing lumbar injury. The impact created an additional 8% impairment rating for a total of 23%. The plaintiff’s vehicle also sustains moderate property damage. The defendant argues that the plaintiff was speeding and accelerated right before impact. A Waterbury County jury finds a verdict against the defendant and his insurance company, awarding the injured $50,000 for pain, suffering, and medical bills. 2012, Georgia: $18,500 Settlement. Plaintiff is taken to the emergency room after he is rear-ended by the defendant. Plaintiff suffers minor injuries but requires physical therapy for his lower back and neck. Plaintiff alleges that the defendant driver was distracted while driving and failed to maintain the appropriate distance. Defendant admits liability and reaches an $18,500 settlement through his insurance carrier, Liberty Mutual. 2012, Louisiana: $260,000 Verdict. Plaintiff is a passenger in a friend’s vehicle when he is struck by Liberty Mutual insured defendant. Plaintiff receives several spinal injuries, including a herniated disc, spinal stenosis (which results in two surgeries), and permanent impairment. The defendants deny liability and contest the extent of the injuries. Plaintiff argues the collision occurred by the negligent changing of lanes and the defendant's inattentive driving. A Lafayette County jury awards the injured a $260,000 verdict. 2012, Oregon: $75,000 Settlement. Plaintiff is a professor and a competitive triathlon participant. She is a passenger of a vehicle struck from behind by the defendant. Plaintiff suffers neck and back injuries that greatly interfere with her work and her daily athletic activities. The defendant maintains that it was a low impact collision and disputes the extent of the athlete’s injuries. Liberty Mutual, the defendant’s insurance carrier, agrees to a $75,000 settlement. 2012, Connecticut: $408,000 Verdict. Plaintiff is a sixteen-year-old equestrian and horse trainer. One night, the plaintiff is involved in an auto accident where she is a front seat passenger. The Liberty Mutual insured defendant had missed her turn for the airport and cut across a three-lane highway. The girl suffers cervical and lumbar injuries that prevent her from riding horses and end her training career. Her parents sell her horses, one of which wins the new owner $20,000 in a later competition. Defendants contend that the injuries were not severe enough to keep the plaintiff from riding horses. A Hartford County jury sides with the young plaintiff and awards $408,000. 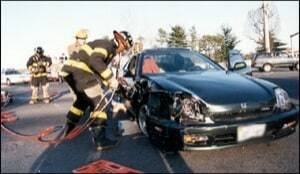 If you have suffered as the result of a car collision, call us at 800-553-8082 or get a free claim evaluation online.